Murray Richtel - Mediator based in Denver, Colorado. Please click your preferred available date to submit a request. Your Appointment Form will be sent to Murray's assistant, Ellen Mauro. 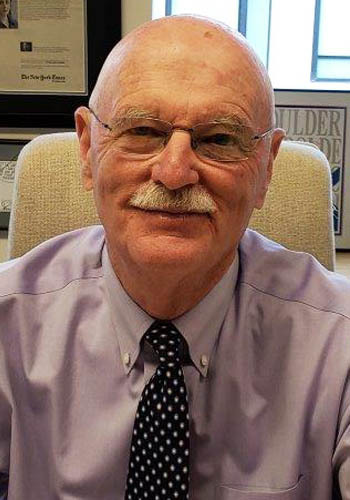 Judge Murray Richtel served on the Colorado District Court in Boulder for nineteen years from 1977 to 1996 presiding over a wide variety of civil and criminal litigation. Following his appointment to the District Court bench, Judge Richtel continued to be involved in teaching a broad range of topics ranging from historic trials to negotiations at both the law school and in continuing legal education programs. He has been involved in training new judges for the past fifteen years. While on the Boulder District Court bench he, Judge Dana and Judge Neighbors established that court s highly successful settlement conference system. Since joining JAG Inc. in 1996, Judge Richtel has mediated over 1000 cases with a very high settlement rate. Mr. Richtel received his undergraduate degree in history at the University of California at Berkeley in 1962 and his Juris Doctor Degree from the University of California, Hastings College of Law in 1965 where he was Order of the Coif. Since 1983 when Judge Richtel presided at the first televised Colorado trial under rules permitting expanded media coverage, he has been active in Bar-Media relations. He served as Chairperson of the American Bar Association National Conference of Lawyers and Representatives of the Media and received that Association s Silver Gavel Award for the Television series You Be the Judge which he helped to edit. Judge Richtel also served as President of the Boulder County Bar Association and on the Colorado Bar Association Board of Governors.